In case you don’t know, yes, you can actually play ping pong outdoors. However, with so many different brands of tables available on the market, how can you know which is the best outdoor table tennis table that best suits your needs? If you get one that’s not quite the right fit, it is going to cost you a lot of money. 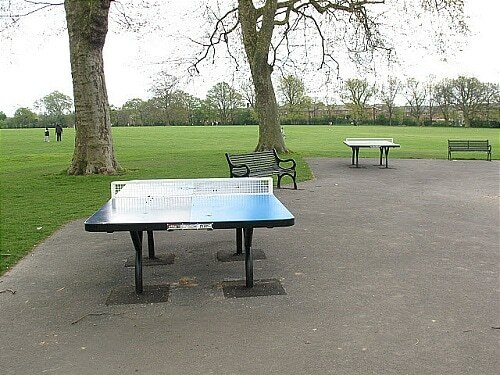 Wonder What Is Outdoor Table Tennis Table All About? Are Outdoor Table Tennis Tables Any Good? Where to Buy Outdoor Ping Pong Table? 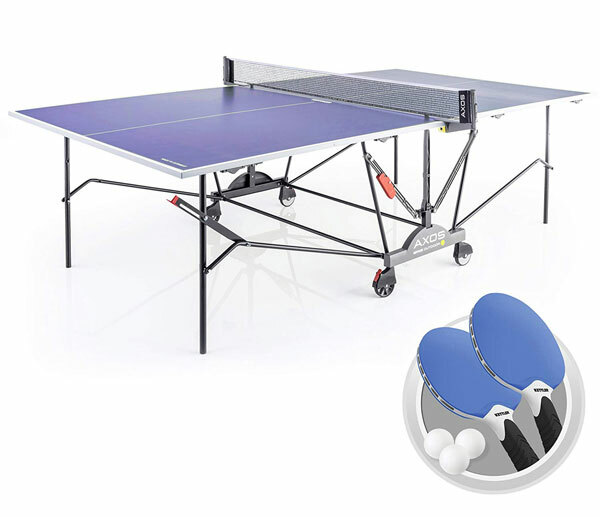 Generally, professional ping pong tables are available in a number of models but on outdoor all-weather ping pong tables, the legs and supports tend to be rustproofed and waterproofed in order for the table to withstand the sun and the rain. Also, they must be heavy-duty. Therefore, knowing what are they made of is quite important. The specific surface of the table can be made of metal, water-resistant coated wood, or synthetic laminate. And when it comes to the table tennis table price, well, what you pay for is what you get. Most outdoor ping pong tables feature an aluminum or waterproof wood composite top to resist the elements, along with features that enable better ease of moving and storage. They are sturdily built so they can last for a very long time. Here I would love to share with you some of the top ping pong table manufacturers and their products so that you can make a comparison for yourself and choose the best outdoor table tennis table that meets your needs. Hopefully, this article can assist you. I have tested a lot of different outdoor ping pong tables myself. Every time I visit some places and playing table tennis, I will play on all the different tables that they have to see how good the quality their tables are. After comparing so many tables, I finally pick one winner which I think is the best for anyone who wants to get an outdoor table for them to play the game. You can read on to find out the winner which is highlighted in pink color. There is no dearth of sports from which you can get the great enormity of fun and pleasures. While some sports are expensive to get the entertainment you like under affordable cost, there are also some sports such as table tennis that is not only affordable to opt for but also a good source of family entertainment too. There are many people who are quite smitten with the idea of playing a table tennis game with family members. There are two types of table tennis games, indoor table tennis, and an outdoor table tennis game. Prior to moving further, there are some points that you should take into account before playing outdoor table tennis. First of all, you must know that no game is safe to play with without necessary sports equipment. That means to say, if you are playing table tennis outdoor, make sure that you have adequate tennis supplies. For instance, one of the features of your outdoor table tennis table should be that it is weatherproof. In other words, the outer surface of the table tennis table should have a strong resistance to harsh weather situations like sun, snow, rain, and wind. Other tennis table supplies like balls, rackets, etc are also vital to consider before playing outside table. There are some salient benefits of playing outside table tennis which make people choose the game as a good source of entertainment. One of the most remarkable benefits with table tennis outside is that it gives you health benefits in terms of toned arm and leg muscles. The game also improves your eye and hand coordination. This is because the game of table tennis requires you being a quick response to your opponent’s shots. Using your table tennis racket, you have to hit back the ball shot by your opponent. From start to the end of the table tennis game, you experience that there is good coordination between your hands and eyes. Playing table tennis outdoor with family and friends is a great way to spend quality time with them. This is also a way to instill family bonding. Apart from getting health benefits, playing table tennis ensures that your children are not deprived of parental love. Hence, buy an outdoor table tennis table to ensure that you are also a vital part of your family’s happiness through the game of table tennis. From the popular Butterfly and Kettler, to the impressive STIGA line and world-class Killerspin, those looking for an outdoor table tennis table for improving their game or hosting competitions are sure to find a best quality ping pong table to meet their needs. 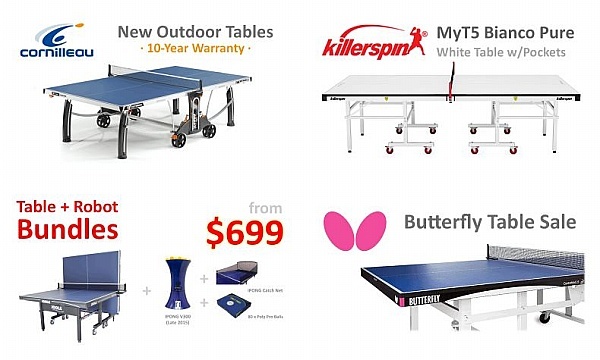 When it comes to outdoor table tennis tables, the Butterfly is the absolute best and the most common table tennis table used in tournaments by far. 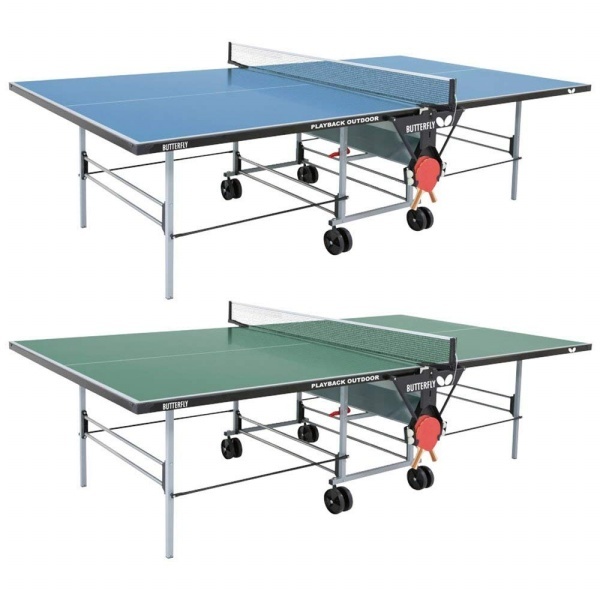 This outdoor table has been used on the table tennis circuit since 1954, and the table price is surprisingly affordable for most table tennis players. 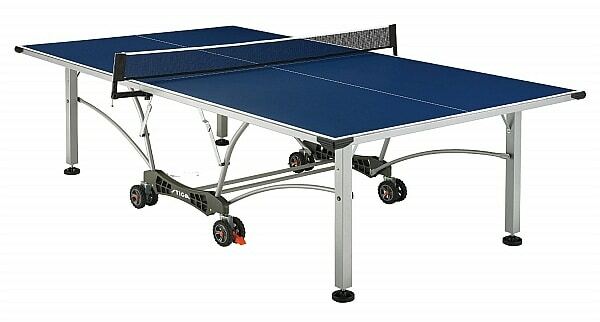 The best table tennis table designed and constructed by the company would be the Butterfly Playback Rollaway Table. This table can be a good value for you to purchase, whether it’s for your home, school or club. The table features a synthetic laminate top (SLT) which can deal with rough-and-tough play, as well as varying weather conditions. If you have children at home, with the purchase of this table, your children will spend hours playing ping pong since it can be a very fun sport for them. The Butterfly Playback Rollaway Outdoor Table Tennis Table is built with solid material, and you can expect to have it stand up in good condition over time, even with hot summers and cold winters. You can buy this table from Amazon. Playing outdoor table tennis has become a lot easier with the new and improved design of Butterfly’s Easifold 19 Rollaway Table, as compared to Killerspin or Stiga. This modern table is of excellent quality and comes at an affordable price. It has options of two appealing colors for the table top surface: blue and green. With its simple assembly feature, you are ready to play in just 15 minutes. The table is also built with a new logo and corner bits. More detail of this table here. This is an ideal choice for a cheap outdoor ping pong table for any household that has a garden or backyard. The 12 mm weatherproof tabletop can give you excellent playability. This is not a standard full-size table and the dimensions of this outdoor mini table are just 9′ for the length and 5′ for the width. You can read our detail review of this compact outdoor table. 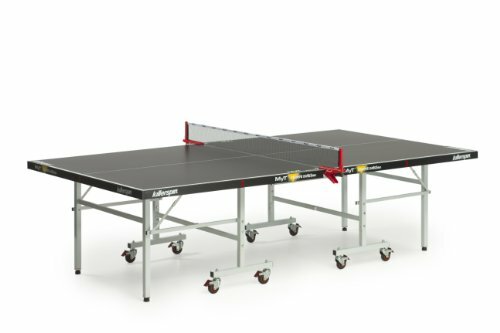 The reliable and trusted STIGA line of table tennis tables is popular with some of the world’s most competitive table tennis athletes. 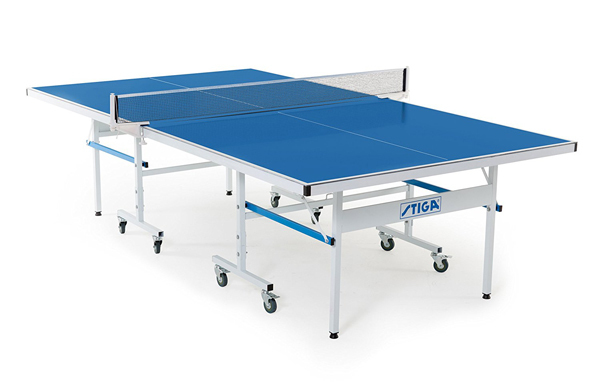 Introduced in 1944, the STIGA outdoor table tennis table offers a mid-level price with an attractive design. With the STIGA brand name, you are getting an outdoor table tennis table from a company that works with professional players on a routine basis, so quality and performance are assured. 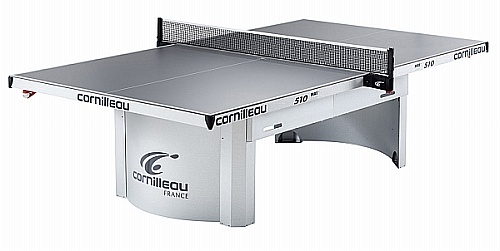 Among American manufacturers, the outdoor table tennis table has not been around as long as in some other countries, but the Killerspin outdoor table is one of the best and most attractive options, offering state-of-the-art quality and durability, along with increased functionality and a number of appealing features. If you are interested in buying this table, the first thing that is important to notice is the weight of it. The table carries a weight of about 250 lbs in the box. It is impossible for a person to carry the table alone, so you will need at least two people to bring the table out before assembling it. Read the detailed review of the STIGA Baja Outdoor Table. You can get this table at a great price. It comes with 2 pieces of tables which are foldable. Which such design, it is easy to move so you will find it is effortless for you to fold it up and move it to anywhere you want. If you don’t have a partner to play with you, you can still play in solo by half folding the table. You can read more details about this table bere. This is quite a good and awesome table. A person can assemble this table and complete it in less than 1 hour. The table is well made with quality material and is look quite pretty there. You are able to play along by folding the table into half if you can’t find any player to play with you. For schools that want their students to play ping pong outdoor, they can consider buying this table, as the price is quite affordable which is under $500. You can read more about this table here. For ping pong players, the utmost important issues when it comes to outdoor tables are if they are able to leave the ping pong table outdoors and if it will withstand the wind, rain, and storms. Well, this Cornilleau Sport 400M outdoor table sure can give you such protection without any problem. Other than that, the Cornilleau table also includes many outstanding features such as quality materials, skilled production, best safety design, ease of use, wonderful playback mode and an excellent warranty. This is an excellent and modern outdoor table model. It has a thick playing surface and a sturdy underframe. The tabletop is of 7 mm thickness and built of melamine plate, which is a chemical wood material that is virtually indestructible and resistant against external influences. Read the detailed review of this crossover table. This is an ideal outdoor ping pong table for family recreational use. You can get this table at quite a budget price. The model has a blue 4.0mm resin laminate playing surface. The weatherproof outdoor table tennis top is resistant to sun, rain, snow, and frost. Read more details about this table. This is the luxury type of table tennis table. This table is not much different from the old version of the Pro 500. There are just a couple of design differences on the edges of the table, while most parts still remain the same as the Pro 500. It looks like white and you can attach the base to the ground and secured itself to the bottom with bolts. You can actually put this table at the park for your community members to play the game. It is very durable which you may use the table for your entire lifetime. Read more details about this Pro 510 table. 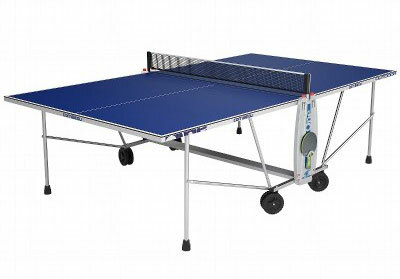 This is another quality and professional table tennis table released by the famous manufacturer from Germany. JOOLA Outdoor TR is a weatherproof outdoor table tennis table which comes with a 22 mm sandwich aluminum plate surface. The table features eight wheels in total that help to assist in movement. Each half has four wheels. It is also possible for a single player to play as the table features an individual playback option. Other than this, it also incorporates a rugged trundle system that makes it an easy task to move the table across most terrain without any hassle. The Joola Nova Tour DX Outdoor Table Tennis Table is a USATT approved table and it is constructed with an aluminum-plastic composite table top to withstand almost all weather conditions. This is one of the top-rated tables from Joola. It received a lot of recommendations from buyers. Read more about this table here. The Kettler Stockholm table features leg levelers, which enable you to adjust the table to the standard height even on an uneven floor. The steering wheel features brakes that can place the table at a fixed position. Read a detailed review of this table. The top of this table is most durable. The ALU-TEC technology is patented by Kettler. The function of this technology is to control the contraction and expansion of the table due to humidity and temperature changes. The dual safety mechanism that is implemented on the table provides extra safety for players from accidentally opening or closing the table. This is a weatherproof table that builds with a 0.875-inch aluminum outdoor ping pong tabletop. It is manufactured for outdoor play. It is one of the best-rated table brought to you by Kettler. The steady anti-tile trolley with four swiveling wheels and two diagonally positioned safety brakes result in easy transportation. This is a quality table and is well worth the money you pay for it. The Kettler 10 Outdoor Table is the top-of-the-line outdoor table being offered by Kettler. It has a lot of new features that are being implemented. The thickness of the tabletop is 7/8 inches and it is made of quality aluminum material. The leg levelers are very sturdy, so you will get a very stable, level playing surface. There is a built-in box where you can store the ball. It has 5.5-inch wheels with locks that you can lock to keep the table in place on the floor. More details on this table can be found here. This is the winner that I mentioned earlier! This is one of the high-end tables released by Kettler. 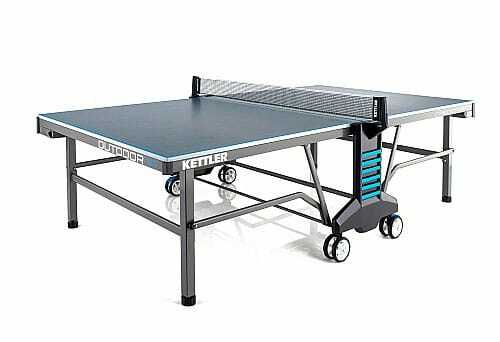 The structure of this Kettler Champ 5.0 Outdoor ping pong table is very robust and solid. It is very easy to assemble and can offers players with a lot of flexibility. With the available of solo playing features, it is possible for you to play alone even if you can’t find any partner to play the game with you. The flexibility of the table also includes the adjustable size that makes the table can be suitable for children to use. For the price, this table will cost you below $1,000. This price is considered reasonable for the quality you can have with this table. Kettler Axos 2 is another quality table released by Kettler. It is an enhanced version from Axos 1. Nonetheless, from what Kettler official website claimed the only difference between Axos 1 and Axos 2 is regarding the wheel. The Axos 2 is constructed with a wheel upgrade that is lockable and has a slightly thicker frame. If you buy this table, it will come with a cover. You need to aware that the manual that comes together with this table can be hard to understand. You better watch the video to get a better idea on the assembly instruction. The weight of this full-size table is about 145 lbs, which means it’s an ideal and reliable outdoor table tennis table that is resilient throughout any weather condition. Setup is rather simple and easy on these Killerspin ping pong tables; it should take no more than 30 minutes for you to carry out the task. The table features two halves that happen to be positioned alongside each other, and the post net is attached nicely together with spring clamps. This table features 3-inch caster wheels and the legs have adjustable levelers. You can place the table on a field with a grass or dirt surface, and you do not need to worry about the leveling of the table. The table is sturdy enough to stay outside in any weather conditions. The wheels of this table are assembled to the bracket which features large-diameter 75-mm casters that are on ball bearings. Each one of them locks in the locking position with the red tab. You can separate the table into two halves and move them around independently, so you don’t have to move this 145-lb table in one piece, which may consume a lot of your energy. This ping pong table is going to have you playing like a professional player. 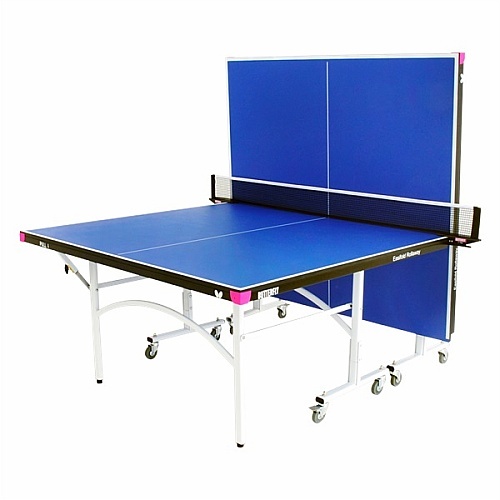 This is a table that can be used for heavy-duty play and, like other outdoor table tennis tables, it has no issue staying out in all weather conditions. The table surface is compliant with official ITTF size and it features a heavy-gauge steel frame where you can roll the table outdoors and play around. The assembly of the table is also simple and easy. The table comes with four solid movable wheels so that you can move it easily. It is an easy fold outdoor table tennis table that you can fold it up effortlessly and place it outdoors for storage when you are not planning to use it for a long time. 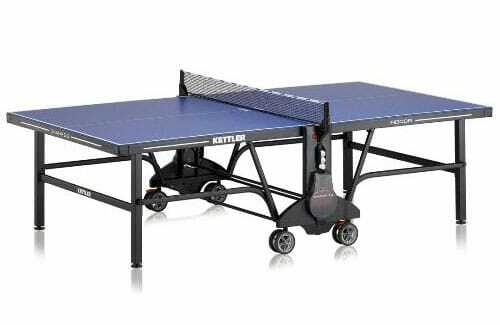 The Prince Advantage Compreg Outdoor Table Tennis Table is offered at a very affordable price compared to other similar types. So if you are tight with your budget, you may want to really consider getting this table. Other than this table, there are still some other models that sell by this company. You can get most of the tables at a cheap price which is below $200. You can find more Prince table models in this post. Ping pong is a great activity for relaxing at the end of a long day or for having fun while entertaining company. In addition, table tennis offers many cardiovascular benefits and helps keep muscles in shape. If you are a person that loves the sport of table tennis or someone who may be looking to compete on a professional level, having an outdoor ping pong table can enable you to work out and improve your game while enjoying the sunshine as well. 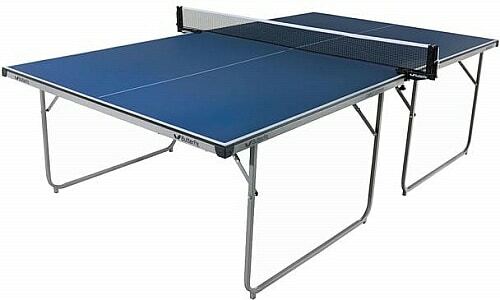 In addition, an outdoor table tennis table is great for entertaining and hosting tournaments with the neighbors. However, when you want to buy an outdoor ping pong table, there are several things to keep in mind that will help to ensure you get the most out of your investment in the long run. Many times you can find an outdoor ping pong table for much less than some of the more professional indoor models cost, but it is important to keep in mind not only the quality of the table but the materials that it is made from and the thickness of the tabletop as well. These factors can greatly influence not only how your outdoor table tennis table withstands the elements, but also your overall quality of play. When it comes to tabletop thickness, regulation standards are important to keep in mind because this will give you the most realistic level of play. Both the thickness of this outdoor table tennis top and the materials that the ping pong table is made from influence the height of the bounce generated from the return of a ping pong ball. For all ping pong tables that are made of wood or wood composite, the thickness of the tabletop should be at least 3/4 to 7/8 of an inch in thickness. 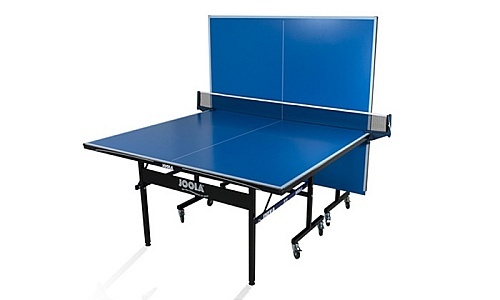 In general, most indoor table tennis tables are composed of wood or wood composite materials and are of a little higher quality than many of the outdoor ping pong tables on today’s market. Aluminum or other forms of metal are standard materials used in a number of outdoor ping pong tables. However, many people find that these metal tables are not as durable as their wooden counterparts and the materials also greatly influence the quality of play. 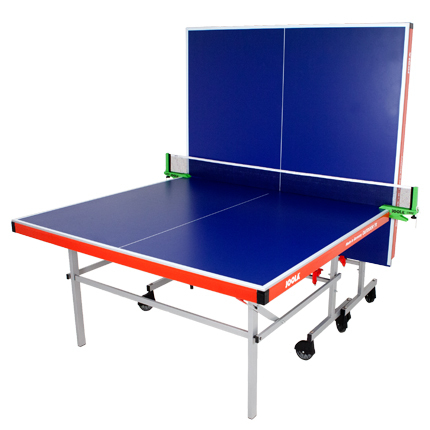 For those who play ping pong on a regular basis and are looking for a more realistic game from an outdoor ping pong table, there are a handful of wood composite outdoor table tennis tables available. Although these models tend to be a bit pricier than other outdoor ping pong tables, they are generally made from top materials, more durable, and are treated with a weather-resistant coating that prevents water damage as well. Thus, they are the best table choices for you if you really want something that can last a long time. If you intend to do-it-yourself and create an outdoor table, you may want to take a look at this video. There are still plenty of quality and best outdoor ping pong tables out there, and I can’t cover them all in one post. 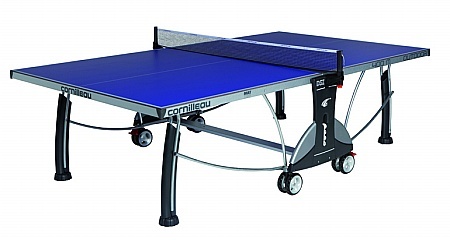 If you are having budget constraints, you may consider getting a second hand or used table tennis table at a discounted price. 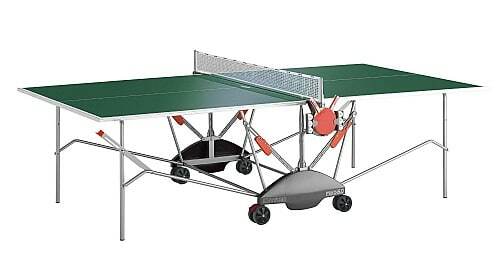 There are quite a number of preloved or used outdoor table tennis tables for sale online and one of the best sites would be Craigslist. You definitely can get one with a good discount that meets your requirements and budget if you are serious about getting one. The ideal places to buy that offer you great bargain prices are Costco, Walmart, eBay and Amazon. Some of the retailers are promised for next day delivery. Sometimes you can get a very good discount when they put certain tables on sale or for clearance especially on celebrating holidays like Cyber Monday or Black Friday. Other places that you can get great deals are Decathlon, Sport Directs, Rebel Sport and Harvey Norman. I do hope that after you finish reading this, you have some ideas of what will work best for your needs and you can now head out to shop an outdoor table tennis table sale and get the one that best suits you. I just bought the Butterfly Playback Rollaway Outdoor Table and love to play with it very much. The table is built with quality materials. It looks durable and also it has a very good design. However, assembling the table can take quite some time. Well, my house is having a STIGA XTR outdoor ping pong table which I bought 2 years ago from a local sport equipment store. The table is very sturdy where I have play with my friends and family members quite frequent and the table is still in superb condition. This table is specifically designed to withstand all-weather when place outdoor and its aluminum composite top offers realy good playability. I just love the table very much. The JOOLA Atlanta Olympic is my all time favorite table. It is very sturdy and is of very well-designed. I bought it 4 years ago and play the game quite often and the table is still in very good condition. The bounce is great and the table quality is make me very satisfied.